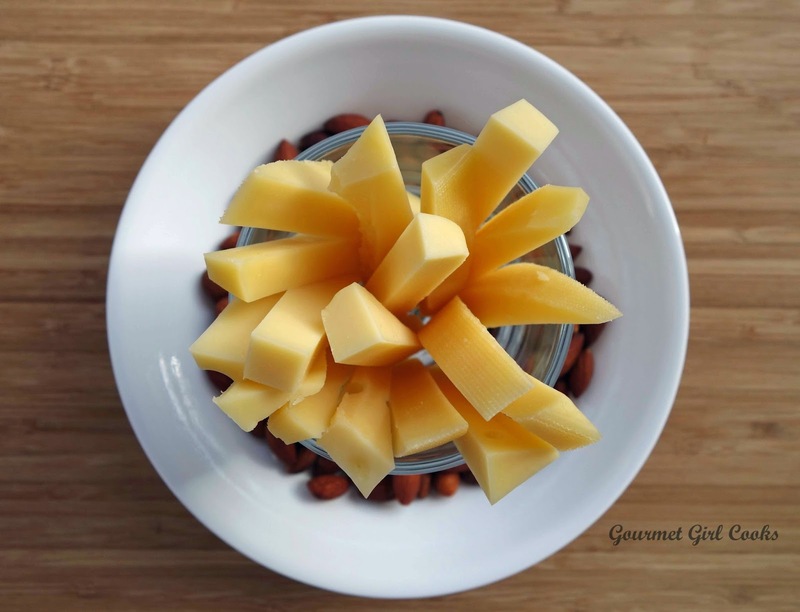 Gourmet Girl Cooks: Friday's Random Post & Guess My Snack AND...Guess Who's 80? Looks like Swiss cheese bars...would be good with almonds. 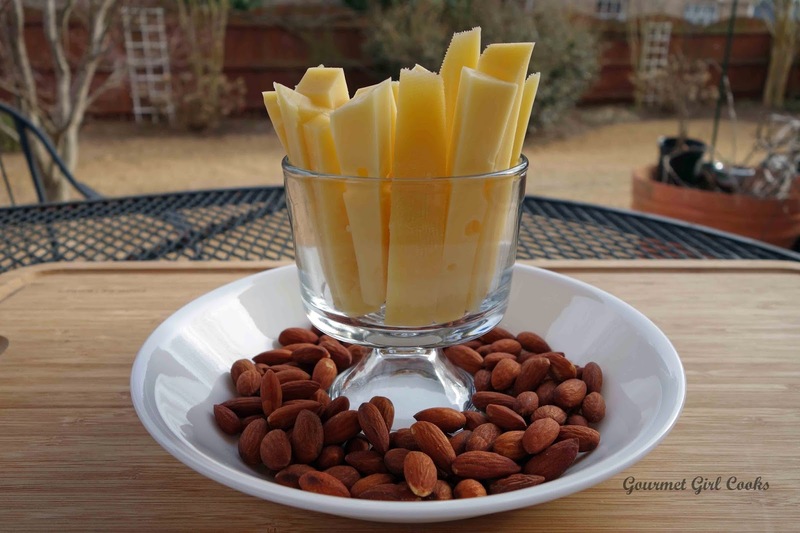 Swiss cheese sticks & almonds? 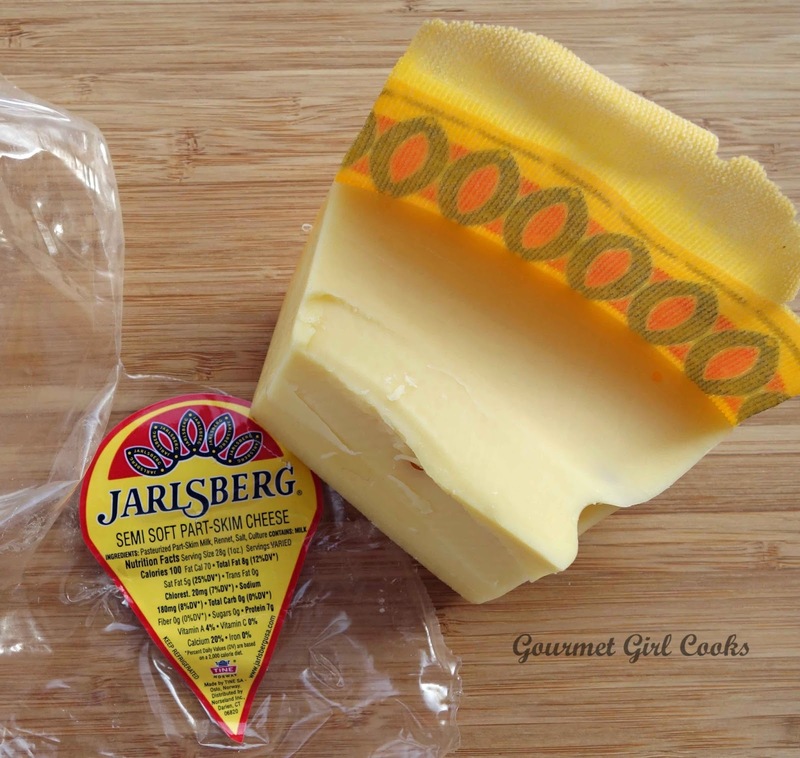 Almonds and Jarlsberg cheese 'fries'? It looks like cheese but I think it is cantalope (sp). I'm a little late to get in on the game, but you'll never believe the first thing that crossed my mind ... unripe banana spears! :-) Well, I didn't *really* think that was it (my real guesses were cantaloupe or cheese.) But I just finished reading Dr. D's latest blog entry re: green bananas... have you seen it? Marvelous triglyceride number! I can hardly fathom your pre-WB numbers. Wow ... WB works, doesn't it! Yay for you! :-) Hope you had a good week and that you're enjoying some "down" time this weekend. My first thought was jicama but then I realized it was too yellow. I thought it was mango or cantaloupe! Congrats on your awesome bloodwork results! Wow congrats on being 80!! That's wonderful. I've never had a problem with my triglycerides but last year they were 118, this year ..... 63!! I figured those french fry looking sticks were probably cauliflower, whenever there's a substitute for potatoes it's cauliflower!! LOL. I wish someone would come up with another idea ;). I've never had that kind of cheese but love cheese so I'm sure I'd like it.